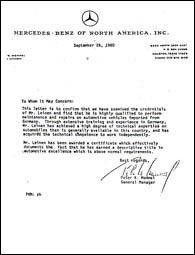 The German Auto Center was established in 1986 by the Leinen's, a family that emmigrated to the United States from Bitburg, Germany in 1981. 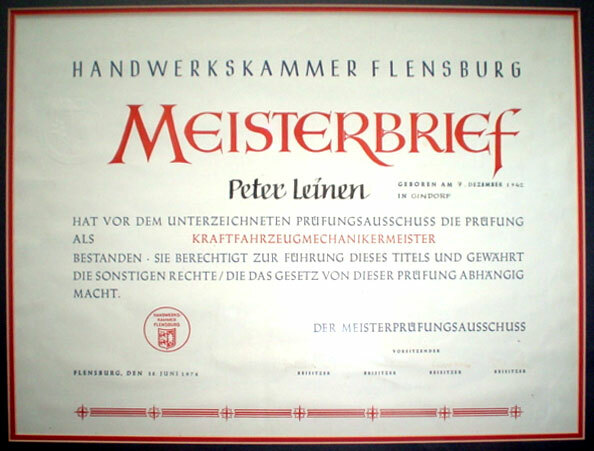 Peter Leinen (owner) a German Certified Master Mechanic & his son Horst, a German Trained Master Mechanic perform "hands on" repairs & maintenance as well as directly supervise our staff of highly trained Technicians. The German Auto Center provides over 50 years of experience in the repair & maintenance of all Mercedes Benz makes & models. We invite you to stop by for a tour of the German Auto Center and see for yourself why, when you own the finest automobile, you should have the finest service. German Auto Center has the latest state of the art equipment to access all of your Mercedes' on-board diagnostic modules. Test results available upon request. 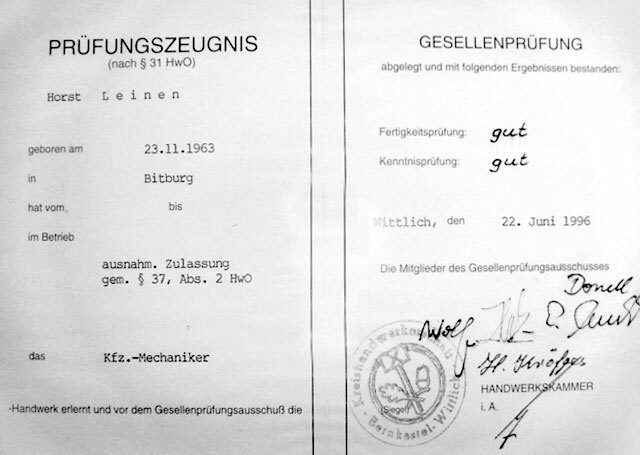 German Auto Center performs service & maintenance on all models (does not void your factory warranty). We also honor all extended warranty policies. 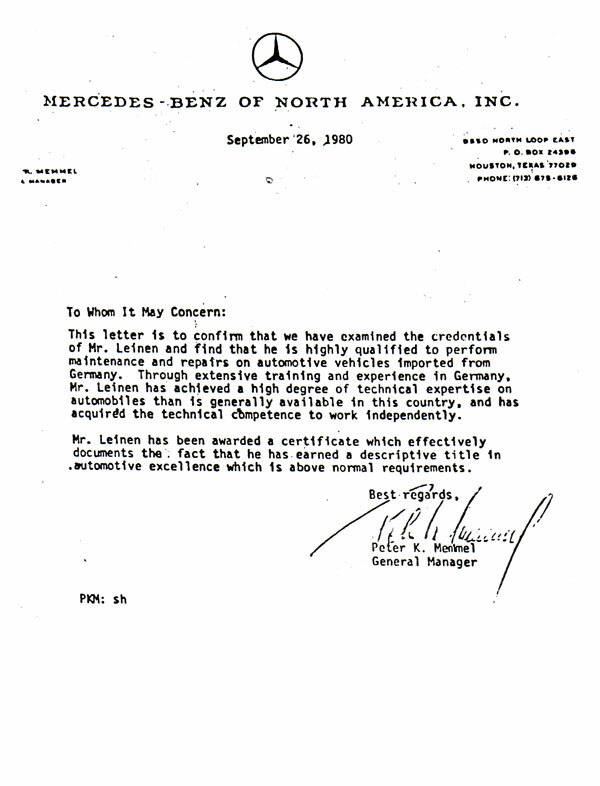 Owned and operated by Certified Master Technician so recognized by Mercedes Benz of Germany and North America.